The most significant influence on the life of a teenager comes from parents. It may surprise you, but it’s true. Oh, teens are influenced by their peers, but they are far more influenced by their parents. That is why we must be certain that we are having a positive influence. One teen said, “My father yells and screams at me; telling me to stop yelling and screaming at him.” Do you understand what the teen is saying? The father’s model is far more important than the father’s words. If you want teens to stop yelling and screaming, then stop yelling and screaming at them. The Scriptures say, “A soft answer turns away wrath.” Learn to talk softly with your teen and your teen will learn to speak softly to you. Question: Gary, my husband is a long haul truck driver and only home a short time. How can you have a growing marriage when you only see each other about 36 hours per week? Answer: First of all, think about our military couples who don’t see each other at all for 12 months. Marriage is not about proximity. Marriage is about two hearts beating together for each other. Together or apart, we are seeking each other’s well-being. We are praying for them, doing what we can to help them, and keeping in touch via phone, e-mail, or texting. I would encourage you to make the most of the 36 hours you have together each week. Be kind, thoughtful, and loving. Speak each other’s love language. If you have issues, talk with a pastor or counselor, or read a book. When your time together is pleasant, then your time apart can also be pleasant. Of course, if you argue when you are together, then there is no comfort while you are apart. A strong marriage can endure times of separation. Question: My girlfriend and I have been dating for 18 long hard months. She says that God told her I was to be her husband. But God has not told me. I don’t believe we are compatible. Should I give it more time or get out now. Answer: Eighteen months is a long time. If you have not been able to work through your issues and grow closer, then it is probably time to be realistic and back away from the relationship. I sense that you are a very sensitive person and don’t want to hurt her. Will a breakup be painful for her? Yes. Will it be good for her? Yes. We often grow most through life’s painful experiences. Love does not continue in a relationship that you believe to be unhealthy. How you break up is very important. You should ask God for wisdom. Don’t communicate that she is a bad person, and don’t question her relationship with God. However, let her know that marriage requires mutual commitment and that you cannot sincerely make that commitment. Let her know that you want the best for her and will pray for her. Don’t treat her like an enemy, but like a friend from whom you must withdraw. Easy? No! But it’s always better than doing the wrong thing. I think it is safe to say that in no generation has the task of parenting teenagers been more perplexing than at the present time. Teenage violence is no longer limited to the fictional world of movies. Many of the parents I meet are in the panic mode. Especially if their own teen is sexually active or using drugs. So what’s a parent to do? It may surprise you, but I think you should start by apologizing to your teenager for your own failures. None of us are perfect. We have all failed to be kind, loving, and encouraging to our teens from time to time. When you apologize, you open the door to the possibility of building a better relationship with your teen. It’s the place to start. I know of no spiritual discipline more important than a daily quiet time with God – reading the scriptures with an open heart to hear the voice of God and responding with my questions, my praise, my thanks, and my requests. 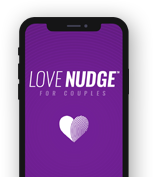 As a marriage counselor, I know of no marital discipline more important than a daily sharing time with your spouse – sharing the highs and lows of your day; your victories and your struggles; thanking each other and making requests. A time to listen and talk with God; and a time to listen and talk with your spouse – what could be more important? God is always ready, and your spouse may be, if you ask. Question: We are newly married; second marriage for my husband, third for me. I feel like he should add me to his checking. However, he has never mentioned it. I feel like a child who has to ask for an allowance. What should I do? Answer: Talk about it. The fact that you are newly married is an asset. This is the best time to talk about such things. It’s normal for couples to have issues of adjustment when they get married. I suggest that each week you have a ‘family conference’ in which each of you brings up one thing that is bothering you and the two of you look for an answer. This gives each of you a time to get things on the table. If it is done on a regular basis, you will process the normal conflicts in a positive way. If you don’t have a set time to talk, you will likely hold things inside until the pressure gets so strong that you explode and end up in an argument. Explosive arguments never enhance a marriage. On the other hand, sharing concerns and looking for solutions draws a couple together. Love is always willing to listen and open to change. Question: I am in a dating relationship which has moved out of the “tingly” love stage. How do I know that I am still in love with this person as we transition into the love languages stage? to ask the questions: What do we like about each other? What do we find irritating? How can we solve the irritations? Learning to speak each others’ love language keeps emotional warmth in the relationship while you discuss these issues. You will not return to the euphoric state, but your love is now much more intentional. The ‘tingles’ are temporary. True love is open to discussion and negotiation. A successful marriage is based on ‘true love’, not on the ‘tingles’. Do you listen when your spouse is talking? There is an ancient Hebrew proverb that says, “He who answers before listening – that is his folly and his shame.” So many times we are re-loading our guns while our spouse is talking. We can’t wait until they finish so we can make our points. Are you trying to win an argument or build a marriage? You will never have a healthy marriage until you learn to listen. Listening means that you ask questions to make sure you heard correctly. “What I hear you saying is that you wish we could get a weekend away this month. Am I hearing you correctly?” “Well, it doesn’t have to be this month, but yes, I’d really like for us to get away.” Now you are learning to listen. It’s essential to healthy communication. conversation is the primary process by which we share life. You will never know what I’m thinking unless I tell you and you choose to listen. What’s so hard about that? The hardest part is making time to talk and listen. Why not schedule a daily conversation time, just as you schedule time for lunch? Typically, we do what we plan to do. Question: My fiancé always checks out girls while he is with me. I feel like I am disappearing and feel very insulted. Should I break up the relationship? Answer: Perhaps! It all depends on how he responds when you share your feelings with him. I assume you have shared your feelings. If not, you need to do so. He will not know that you feel insulted if you do not tell him. If he responds: “It’s no big deal. It’s just something I do. It doesn’t mean anything to me.” Then tell him that it is a big deal with you. Tell him that you cannot marry a man who has eyes for other women. If he tries to put you down, then tell him that you are not going to marry him without pre-marital counseling. Stick to that decision. Then, make sure this issue is raised in the counseling sessions. A counselor can help both of you discover what is appropriate and inappropriate. It is worth postponing the wedding date to resolve this issue. If you can’t get the problem solved, then my advice is to break off the engagement.